In a new interview, the frontman applauds the AIDS relief work of the U2 singer and the former president. 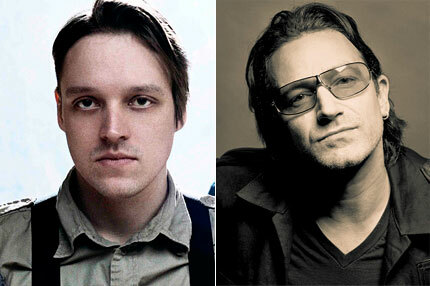 Arcade Fire lead singer Win Butler is praising fellow rocker Bono not just for his infamous political philanthropy, but for “engaging” with former president George W. Bush in a discussion of American AIDS relief policy. Bono made public appearances with Bush in 2002, when the president unveiled a $5 billion AIDS package at the White House, and in 2006, where he praised Bush’s African relief efforts at the National Prayer Breakfast. Arcade Fire’s 10-stop string of North America dates in anticipation of their upcoming album, The Suburbs (out August 3). Their August 5 show in New York City will be broadcast online — click here for details. How do you feel about Butler praising Bono and Bush? Sound off below.